Interested in community ownership? Then sign up for a free visit to hear about community-owned assets on Scotland's most southerly point. 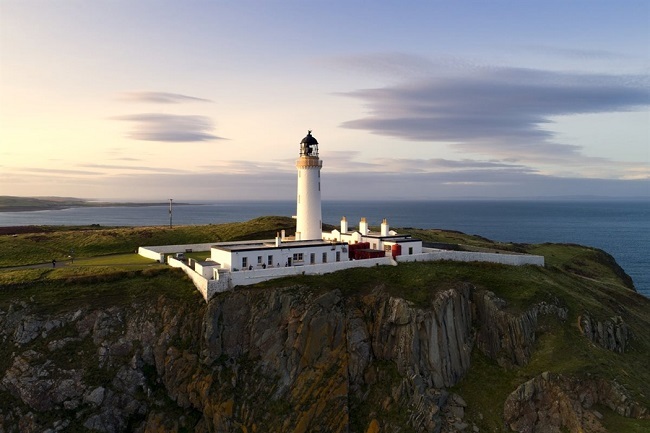 The Mull of Galloway lighthouse museum and three holiday cottages are owned by the community and run by the Mull of Galloway Trust. During the visit on 14 November, taking place as part of the Scottish Rural Parliament, you'll get a tour of the Lighthouse Tower and Exhibition. The newly renovated foghorn -- the only working one on mainland Scotland - will be blasted and the engine will be fired up especially for visitors! Development Officer, Maureen Chand and volunteers, such as an expert engineer, will be on hand to talk to you during the visit. The lighthouse and grounds is becoming a popular venue for weddings and functions, and is often used by the local community for events. The Trust also lets out an outbuilding to the RSPB, which is part of the reserve at Mull of Galloway. Visitors will have the opportunity to follow the Reserve’s circular path and observe a variety of seabirds. Following the visit to the Mull of Galloway Experience, you'll travel to the stunning Logan Botanic Garden and get a guided tour from botanic expert and curator Richard Baines. The gardens include plants from South and Central America, Southern Africa and Australasia that are rarely seen in the UK. The warming influence of the Gulf Stream of the south-western tip of Scotland creates an exotic feel in these extensive and beautiful gardens. Those interested in photography can view an exhibition of Richard’s travels to discover plant life in Asia and elsewhere. The project visit is free. The trip leaves the Ryan Centre in Stranraer at 10am on 14 November and returns at 3.45pm. Travel and a light lunch are included. Book your place by Friday 9 November. Spaces are also available on trips to Portpatrick and the Crafty Gin Distillery, Whithorn Timescape and The Book Shop, Wigtown, and a tour of the town of Stranraer. There is still time to book your spot on one of four project visits taking place as part of the Scottish Rural Parliament in Stranraer.